When you install or update the populair peer-to-peer file sharing application Vuze, it also installs ad-ware and bloatware on your computer. 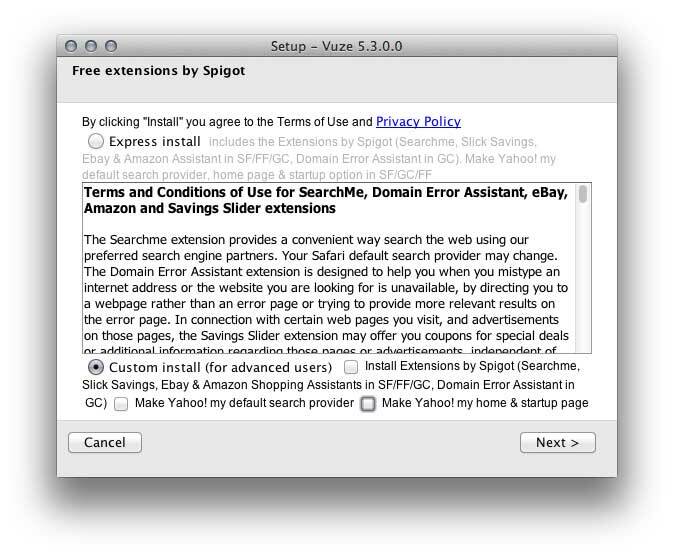 Add-ware extensions from Slick Savings, Ebay and Amazon Shopping Assistant are installed in your browsers. Fortunately, these annoyances can easily be avoided by customizing the installation. It’s really easy, just mind a few checkboxes while installing. Notice the Customize checkbox in the lower left side of the panel. Check it. Most people don’t want to be bothered with extra options or special features, so they’ll leave this unchecked. 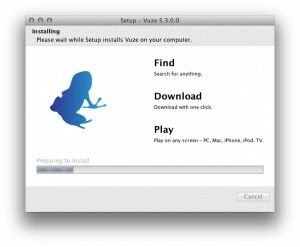 I think it’s even save to say that people are used to take the easy way when installing software, and Vuze is taking advantage of that. In this case, you do want to customize the installation, so you can prevent the ad-ware from being installed in the first place. 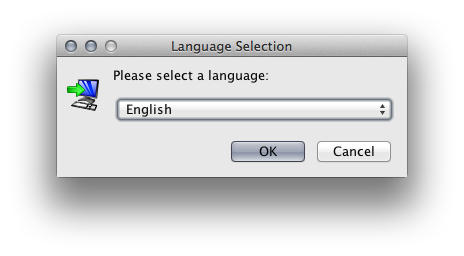 First, you’ll be asked to choose your language and click OK. Important: Choose Customize before clicking I Agree. The next step is not prone to bloatware tactics. It’s a good idea to keep your Applications in the default folder. Decline to other ‘Free Content’. These offers may very over time. 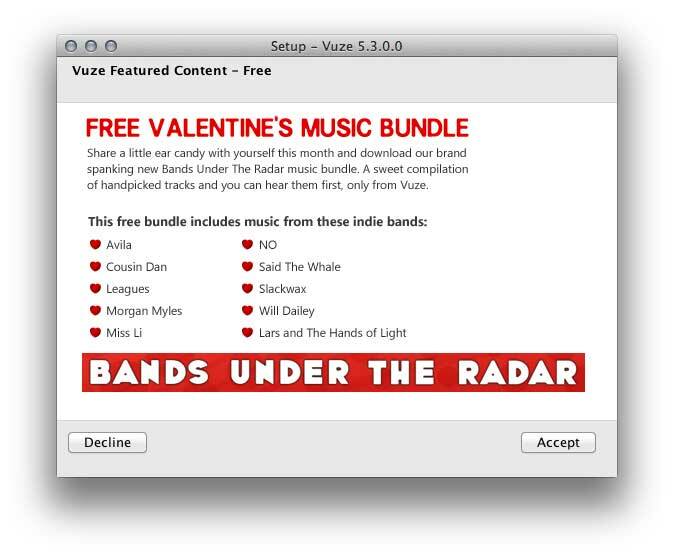 This one in Valentine fashion is from the second half of February but it might just as well show a TuneUp Plugin for iTunes. From there on, the installation will finish fairly quickly, depending on your internet connection and the speed of your computer. At least this speed is not hold back by unnecessary browser chrome and ads.